It is deep winter in York, 1400, the ground frozen, the short days dimmed with the smoke from countless fires, the sun, when it shines, low in the sky. It is rumored that the Epiphany Uprising, meant to relieve the realm of the Henry the usurper and return King Richard to the throne has, instead, spelled his doom. As long as Richard lives, he is a threat to Henry. So, too, the nobles behind the plot. The ringleaders have been caught, some slaughtered as they fled west by folk loyal to Henry, and the kingís men now search the towns for survivors. A perilous time, made worse for Kate Clifford by the disappearance of Berend, her cook and confidante, shortly after Christmas. Her niece saw his departure in a dreamóhe said he was honor bound to leave. Honor boundóto a former lord? One of the nobles who led the uprising? Is he alive? She is hardly consoled when Berend reappears, wounded, secretive, denying any connection to the uprising, but refusing to explain himself. When he is accused of brutally murdering a spice seller in the city, Kate discovers a chest of jewels in his possession. Some of the jewels belong to her old friend Lady Margery, wanted by the king for her husbandís part in the uprising. For the sake of their long friendship, and the love she and her wards bear for him, Kate wants to believe his innocence. So, too, does Sir Elric. And he has the powerful backing of the Earl of Westmoreland. All she need do is confide in him. If only she trusted her heart. 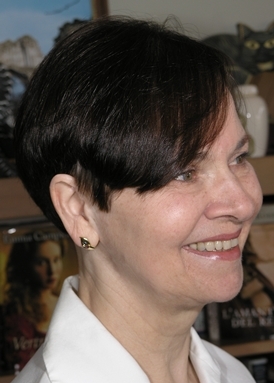 Candace Robb is the bestselling author of sixteen crime novels set in fourteenth century England, Wales, and Scotland, including the acclaimed Owen Archer series and the Margaret Kerr trilogy. Candace lives in Seattle, Washington. During the Blog Tour we will be giving away a signed set of Candace Robb’s Kate Clifford series! To enter, please use the Gleam form below. ñ Giveaway ends at 11:59pm EST on December 21st. You must be 18 or older to enter. ñ Giveaway is open to US residents only. ñ Only one entry per household. ñ All giveaway entrants agree to be honest and not cheat the systems; any suspect of fraud is decided upon by blog/site owner and the sponsor, and entrants may be disqualified at our discretion. ñ Winner has 48 hours to claim prize or new winner is chosen. gosh I love york and it sounds exciting to read about medieval York. The cover is also stunning! Thank you so much for hosting Candace’s book blast, Umut! You’re the best! 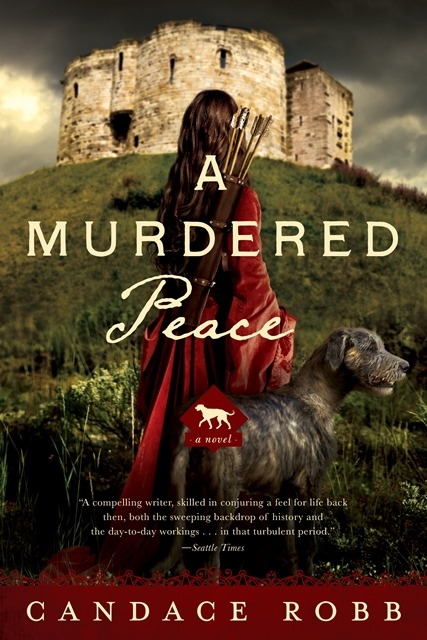 Thank you for hosting the Murdered Peace Book Blast today!